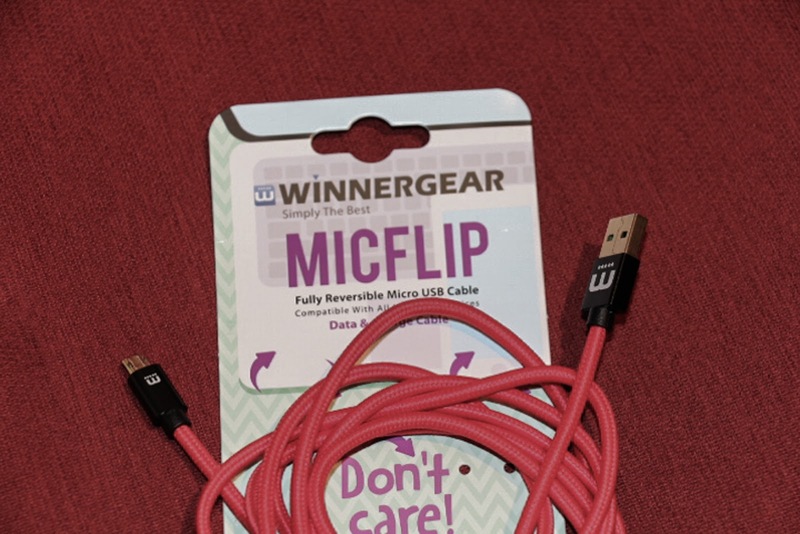 I previously reviewed the MICFLIP 1 cable, but WinnerGear just launched the MICFLIP 2 cable. The big difference in version 1 from version 2 is that the cable is now reversible on both ends of the cable. The USB Type-A plug is reversible as well as the micro USB plug being reversible. In the 5 or 6 months of owning the MICFLIP 1, it is probably my second most used cable behind the Lightning cable that came with my iPhone. Not only is it a nice looking, well built, tangle-free cable; but, both ends of the cable being reversible is a Godsend! I am constantly plugging in cameras to my iMac to get videos files off them, or to charge them and now having the Type A end be reversible as well is terrific. The ports on my iMac are on the back of the machine, the way my machine sits, you can't see the ports on the back of the iMac so I am always reaching in the blind when I plug in cables to my iMac. Now I don't have to fiddle with the cables as much since both ends are reversible, well worth the money just for one less irritating thing to deal with.